Unfortunately, and it comes as no surprise, that social media poses many risks – especially to young people. A huge worry are online predators. Stalking, grooming, preying or whatever you want to call it, is scary, disgusting and very much an ongoing problem and crime – it’s the main worry that parents have in relation to online safety. Most parents wouldn’t let their young children out at night in a public place where strangers could be lurking, but would likely be content with them spending their night on the internet and on social media. But the fact is that this online environment can end up being far more dangerous than hanging around a street corner. There are many, many more predators working in the cyber environment as opposed to the physical. Being online gives them a degree of anonymity – a place to hide. But it’s truthful for any age – many people admit that they will read messages in online forums / conversations but will never respond or post their own for fear that they have no idea who is on the other side and who may be reading these comments – it could be anyone. Many groomers look for emotionally vulnerable children so that they can befriend them, act like they are there to support them, engage with their feelings to build trust but all of the time are collating a profile of their victim. 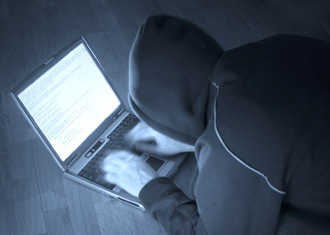 A groomer can then lead the online user into a false sense of security, gaining trust, having more explicit conversations and pornographic images may be sent to the user. If the victim then tries to stop conversation, the predator will bully them into continuing by using the threat of telling their parents what they have been up to / what they have seen online. In worse cases, the victim may even be convinced to meet with their new online ‘friend’ and so the consequences could become far worse. It’s important to note that these predators aren’t amateur or stupid – these are their jobs, their profession, and they know exactly what they’re doing. They stay up-to-date with the latest music, TV and children’s hobbies; they’ll use trickery and eventually lead them through methods that often mean there is no turning back. They do this day in, day out. Many children are naive, or just not old enough to understand not to take everyone at ‘face’ value and that these predators do exist and in real-life situations. 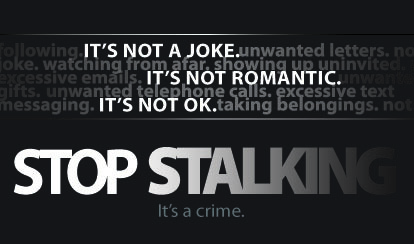 My next post will continue on from this and discuss the information that cyber stalkers need so that you know how to prevent this from happening to you. This entry was tagged Adolescent, Children, Cyber-Stalking, Danger, Facebook, Grooming, Online Predators, Predators, Social Media, Stalking, Strangers. Bookmark the permalink.